Jeffrey Paternostro of Baseball Prospectus stops by to talk about the Blue Jays draft. He talks about how the first five picks need to be viewed collectively, instead of individually, reviews some of the players, and then compares Vlad Jr. to the rest of the league. Greg and Nick also discuss the strong pitching of Marco Estrada and Sam Gaviglio, struggles against the AL East, whether it’s time to consider selling, and the injury to Guerrero Jr. Finally, they answer listener questions, give out a Gold Star, and look at reported changes to the baseball. Follow the guys on twitter: @coolhead2010 and @JoshuaHowsam. Intro music is Slow Burn (Kevin MacLeod) under CC BY 3.0. 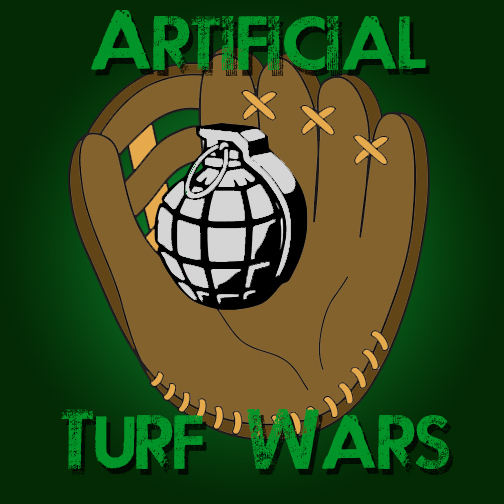 Podcast Email-artificialturfwars@baseballprospectus.com Please drop us a line if there is a guest you’d particularly like us to interview, to submit a question to Stump the Josh, or to simply give us feedback on the podcast. We’d love to hear from you! Greg Wisniewski hosts Artificial Turf Wars, the official podcast of BP Toronto, along with co-host Joshua Howsam. The guys try to provide a different take on the jays are often joined by interesting guests including the occasional major league player.